Separation anxiety is a fear that anyone can have, regardless of age, when they become separated from something that is familiar to them. For young children this usually occurs when they are separated from a parent or caregiver. Separation anxiety usually starts around the time a baby is about 7 months old and is a normal part of healthy child development. A child who cries when a parent leaves is showing a sign that he has a close attachment and bond to his parent. Separation anxiety is thought to be strongest between 10 months and 18 months of age; however, this varies from child to child. All children should go through separation at some point in their lives, and sometimes more than once. For example, sometimes going to preschool or kindergarten elicits those same strong feelings of anxiety for a child. 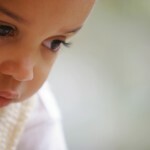 Because separation is a typical developmental stage that we want all children to experience (a child who does not demonstrate separation anxiety is a concern for therapists), the most important thing parents can do is handle this separation appropriately so that their child will learn proper coping skills to handle this anxiety. Begin playing games such as peek-a-boo with your baby at home. This simple game helps infants and toddlers to learn that things that are gone will also reappear after a while. Start at home by telling your child you are going to another room and you will be back. Encourage your child to continue playing while you are out of sight and then come back in 3-5 minutes. Gradually build this time up to as long as 15-20 minutes for older children. Start with a babysitter before child care. 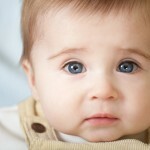 If possible, leave your baby with a sitter that is familiar to her, before leaving her with someone new. If you need to introduce an unfamiliar sitter, have them arrive at least a 1/2 hour early to your home so you and your child can become comfortable with this person together. Give your child a transitional object, such as a favorite toy, doll, piece of your clothing or child sized photo album with your photos in it so they can be comforted with these objects while you are gone. Have a positive attitude! Sometimes parents have as much anxiety about separating as their child does, so remain calm and in a pleasant voice say “Daddy is going to work, I will be back to eat dinner with you tonight!”. Even young children can perceive when a parent is nervous about leaving them at child care and this just makes things more difficult. Be very clear, firm and direct. In simple language tell your child where you are going and when you will be back. Young children do not understand the concept of time, so it’s better to say “I’ll be back after you finish your snack” rather than “I’ll be back at 3:00”. Always reassure your child that you will back, but don’t linger after saying goodbye and don’t ever sneak out thinking this will avoid the tears (it only makes it worse when you disappear and do not let your child know where you are going or when you will return). If your child cries intensely for longer than a 1/2 hour to an hour and does not get used to his new routine within a few weeks, you may want to seek the advice of a developmental therapist. Also, if your child continues to have separation issues after a month in a new setting or starts to harm himself or demonstrate aggressive behaviors, you may want to seek advice from a developmentalist or child psychologist who can recommend ways to treat and alleviate your child’s anxiety.